The Ecogear SX40F range is my favourite hard body lure right now. 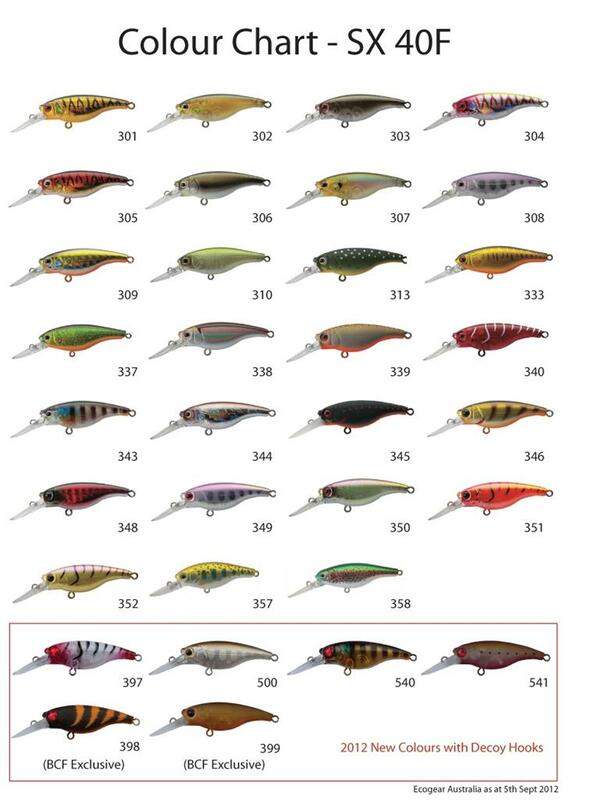 Ecogear have done a superb job designing these lures. They come in a variety of colours that suit a wide range of natural environments. My personal favourite right now is colour 348 (black and red). I’ve caught bream, flathead, whiting, tailor, on this lure. The tight shimmy action and slow floating buoyancy of these lures really turns fish. Personally I like to use a variety of retrieval speeds from a slow troll or ‘walk the dog’ type retrieval to a quicker jerky retrieve. I often find a varied retrieve can induce a deadly strike on the pause.